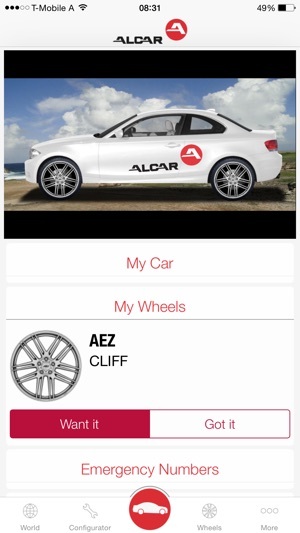 The ALCAR wheel configurator app is your personal and mobile wardrobe for your car. Whether you have a smartphone or a tablet. 22 inches on your smartphone? 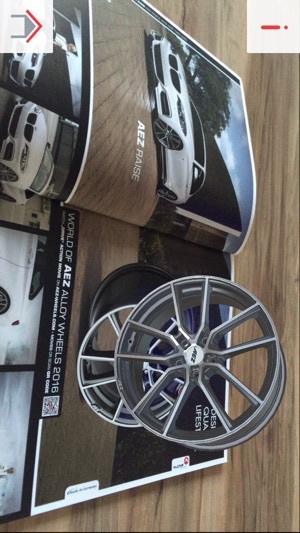 Do you want to see what your car would look like with the latest 2016 AEZ, DOTZ, DEZENT, ENZO wheel designs? No problem. 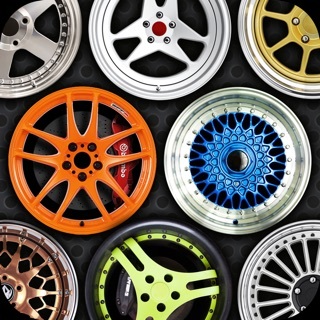 Take a photo of your vehicle and select your desired wheel. Finished. ...if you now want to know where you can buy these wheels, select “Retailer” and details of the nearest dealer will be immediately displayed. 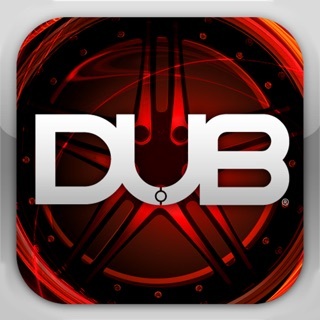 The new augmented reality feature connects classic media with the digital world and awakens ALCAR catalogues, calendars and posters to life. Everyone would like to have their own personal butler. ALCAR provides you with one free of charge. 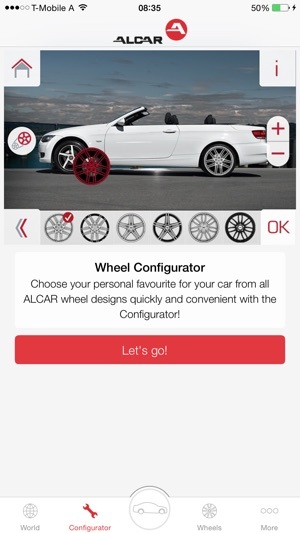 The “MY CAR” function on the ALCAR Wheel Configurator offers all users functions with additional benefits. 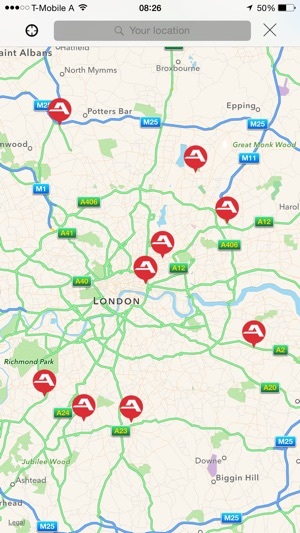 Manage all appointments relating to your car quickly and easily. The reminder function will help to ensure that you no longer forget anything e.g. 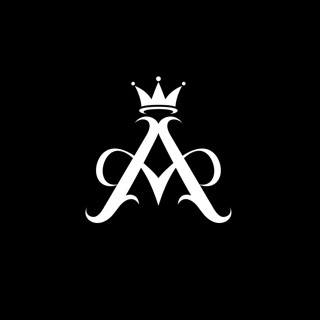 service dates. There’s also an emergency number function, which gives you fast and uncomplicated access to all important numbers in the event of an emergency.